Your kitchen is the hub of activity in your home. From chit-chatting with a friend over tea to preparing a holiday meal, everyone uses the space differently. Whether you’re a master chef or you like to keep things simple, we have the products you need to transform your kitchen design into a stylish and functional place you’ll fall in love with. Think your kitchen’s too small for a remodel? Size isn’t an issue. We can help you maximize storage and make the most of every inch of usable space. Let us turn your ordinary kitchen into an extraordinary living space. We’ll give you tips on color, design, and planning out the space. 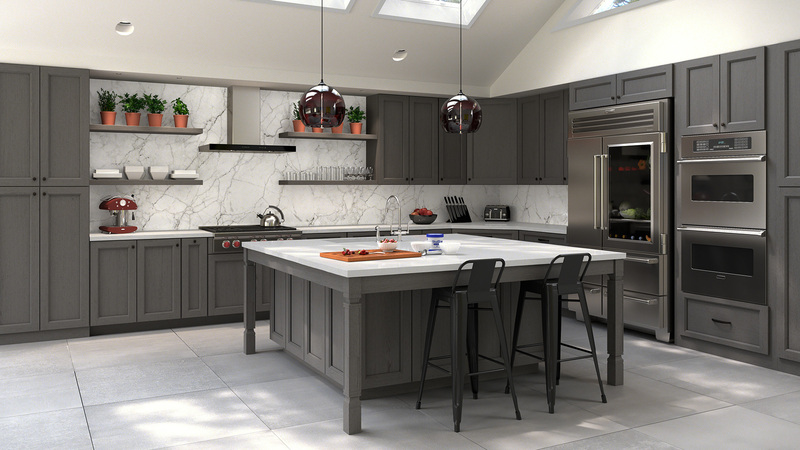 Whether you’re giving your existing kitchen a makeover or you’re building a new home, we’ll create a multifunctional space where you and your family will thrive. Check out our kitchen cabinet, sink, backsplash, faucet, garbage disposal, knob and handle, and under cabinet lighting options. You can turn your dream kitchen ideas into a reality and we’re here to help every step of the way.